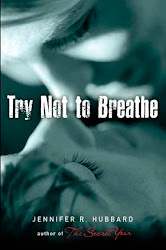 The German paperback of Try Not to Breathe, Atme Nicht, is out. I have a couple of copies, and if you read German and like YA and would like one, email me at jennifer[at]jenniferhubbard[dot]com. David Sedaris takes his foreign editions with him on his speaking tours and offers them to any audience members in the signing line who speak the language in question. It's a lovely tradition and I would like to emulate it, but I don't actually have speaking tours. Foiled! In other news, my ongoing decluttering project continues. I recently tackled my TBR book pile. I discovered books in there that I'd forgotten about. I managed to give up several books that I once thought I wanted to read or felt obligated to read, but now realize life is too short and there are too many books I'd rather read. I still have a sizable pile, though, consisting of books I definitely want to read and a few I may still be kidding myself about, but let's see how things work out. I also went to the library because some books I had on reserve had come in. Yes, I bring more books into the house even while I have a pile of unread books large enough for me to forget all the titles in it. That's how I roll! Of all the "stuff" in my house, books are still among my most treasured objects. When I have streamlined my collection to the point where it feels manageable to me, I suspect it will still be much larger than average. I'm okay with that. I'm a writer, but I was a reader first. One of life's great pleasures is being able to concentrate, to fully embrace a task or idea, to be so absorbed by it that nothing else exists. Sometimes writing is like that. Sometimes I think that's really what I write for. There are other perks to the writing life, but the feeling of being immersed in a story is its own reward. Got a work in which every time a character walks past a flowerbed, he notices what flowers are blooming, and whether they used wizardry to keep them blooming at the same time, and whether the plants need dead-heading. Never touches, but he notices. Some characters, of course, will notice things only when they are actually using them. But the point-of-view will determine what gets described." And I was excited enough by these ideas that I decided to just do another blog post, continuing this topic. Yes, in this context I would agree that "interact" includes "notice." I would even include situations where the sight (or smell, or sound, etc.) of something in the setting triggers a memory, decision, emotion, etc. The interaction need not be a physical activity. I think what's important is that this aspect of the setting becomes more interesting because of its involvement in the plot or characterization (or both); it becomes charged with meaning. "The wallpaper was green with beige stripes. In the far corner sat a wooden chair with a cushion seat of forest green. Next to the chair stood an end table with crooked legs; it held a deck of cards, a heavy glass ashtray, and a large lamp with a dusty shade ..."
I could give these lines to twenty different writers and ask them to put a character into this scene, a character who would interact with these objects and have opinions about them and reveal things about him/herself in doing so. And I would get twenty different scenes, all of them more interesting than my original wording. As pointed out by Mary Catelli, the character might not even need to touch any of the objects to interact with them. The character could "notice" them by remembering how his late grandfather always sat in that chair, or by longing for a cigarette at the sight of the ashtray, or by judging the room's owner for not fixing the table legs, or by planning to hit someone over the head with the lamp, and so on. "John noticed that the wallpaper was green with beige stripes. In the far corner sat a wooden chair with a cushion seat of forest green. Next to the chair stood an end table with crooked legs; it held a deck of cards, a heavy glass ashtray, and a large lamp with a dusty shade ..."
However, as Mary Catelli also noted, sometimes the particular objects a character focuses on tell us something important. So, I actually could use the above "John noticed" lines if the objects he's noticing are very important to the story, if there's a reason he's noticing them among everything else in the room. But if they're just background, I wouldn't bother to describe them in such detail, because then that just becomes an inventory, and not too interesting. A writer friend recently asked me how to incorporate description of a setting into a piece of writing, especially in a setting that may be unfamiliar to many readers. I suggested having the characters interact with the setting, and describing things only as they are being used. Writers sometimes think they have to start by describing the stage set, as with a play. But the description of a setting can unfold as a scene progresses. Our main interest in a piece of writing is usually in the characters, not the objects or the wallpaper. We only want to know about the setting to the extent that it affects the plot and characters. We can learn a lot about character, plot and setting by watching what a character does in his or her environment: peeling apples, lacing ice skates, bandaging a wound, mending a shirt, counting money, peeking through a window, applying makeup. These actions tell us about time period; they show us whether the character is neat or sloppy, open or devious, gentle or harsh, nurturing or abusive. They can reveal the character's economic class and main interests. Guiding readers through a setting this way moves them along fluidly, with the action, rather than relying on blocks of descriptive text that can sometimes feel inert. My decluttering project continues, and I've been weeding books. 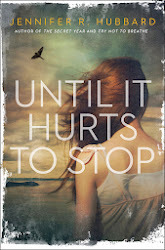 Books are tough, because I like so many of them. I value them. But my new test is not whether I liked a book when I read it, but whether I ever plan to read it again. I reread a lot, but this has helped me thin the ranks a bit. There are books I enjoyed at the time, but that I don't need to hang onto anymore. They should go off to bring joy (or enlightenment) to new readers. I'm also trying to be realistic about my TBR pile, which currently contains about 50 books. How many of these will I actually read? Should I give up on those classics? Will I ever be in the mood for that novel? Am I still interested in that nonfiction topic? The book that everyone raved about but that I fear will be too depressing--am I ever going to brave it? It's safe to say that I will still have a lot of books at the end of this process. That's all right. It would be nice to have them all fit onto the existing shelves, though, eliminating my need to pile them on the floor. It would be nice to have space for new books. The Vault of Dreamers, by Caragh M. O'Brien. 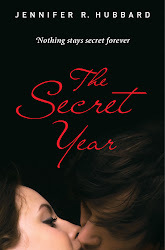 I'll say right up front that the author is a friend, but the attraction for me with this book was its something-creepy-is-going-on-at-this-boarding-school plotline, which reminded me of Lois Duncan's Down a Dark Hall, a childhood favorite of mine. Cross a performing-arts school with a reality show, and you have the school that forms the setting for The Vault of Dreamers. The students are filmed and recorded all day long. They're required to go to sleep at the same time every night, and this requirement is enforced with sleeping pills. When main character Rosie skips her sleeping pill, she sees troubling events that makes her wonder what's really going on at this school, especially during the hours that the reality show's live feed is off the air. When she tries to find out, the school's ever-present surveillance serves as a formidable obstacle and source of constant pressure. Most intriguingly, the book plays with the question of narrator reliability--there are times when we're not sure what is real, who's acting, who's lying, and what has been dreamed rather than really lived. At the end, there are unanswered questions with plenty of territory left to explore in the rest of the trilogy, although the book provides plenty of food for thought on the topics of privacy, surveillance, and the interplay between technology and ethics. Sometimes, when you're walking nowhere in particular or doing the dishes or showering, a scrap of a story enters the mind. A character's name or voice, a line or two. It's like the end of a thread of unknown length. Sometimes that scrap, that thread end, leads to an entire story or novel or series. Sometimes it fizzles. Sometimes it mutates into something else. But it's a gift. The mind slips into that neutral zone and something unexpected surfaces. Some of you who started following this blog as a writer's journal may be wondering what the heck I am doing lately, blogging so much about decluttering and simplifying, but I suspect that most readers either see or trust in an underlying connection. Letting go of physical stuff is also a metaphor for letting go of other baggage: mental, emotional, psychological. It can be a metaphor for revising, deleting. It's also about accepting that certain plans haven't worked out, that some goals will have to change. "I don't need to fill my life with more stuff. I need to think about what matters to me." Before the letting go of anything, there is the willingness to let go. As I said before, I'd been operating in a sort of save-everything default mode. The best thing this decluttering project has done for me is to make me more mindful of what I'm accumulating in the first place. Until now, I would keep everything unless I could convince myself there was a good reason to discard it. Now my philosophy is to question everything, to justify keeping rather than discarding/donating it. This has been eye-opening. Do I really need so many pairs of black socks? So many address labels, bookmarks, barrettes? Do I need all those business cards I've been saving--how many of those people will I contact again? These pants that will probably never fit again? This expired medication? These train schedules that are more than a decade old? This game I never play? This watch that two different jewelers were unable to fix? These keys that match no lock I know of? My elementary-school report cards? My college ID? Some of these are items that would be useful to a biographer. But let's face it, nobody will be writing my biography. And if they do, they'll just have to live without my third-grade teacher's appraisal of my penmanship, or the sight of the perm I had as a college freshman. Many of these things I held onto because of their association with pleasant people or events: a ribbon from someone's bridal shower, a ticket stub from a concert, a piece of wood from a magnificent old tree that was chopped down when I was in high school. But the things are not the people. The things are not the memories. How much of the past do I have to cling to with visible reminders? How much of it can I let settle inside me, and trust that it has become part of me? These are the questions I've been asking. My decluttering process is following a mixture of advice from several sources, plus my own instinct and needs. There are many different ways to approach a cleanup of your living space (or life); a search of "decluttering" or "minimalism" will probably retrieve more links than you'd ever have time to read. At the moment I'm influenced largely by Marie Kondo's The Life-Changing Magic of Tidying Up, and as I put my own twist on things, I found myself feeling slightly guilty for not doing things exactly as she recommends. And then I reminded myself that this is my living space, and I can do things any way I want. If I don't achieve perfect order, that's okay with me. The progress I've been making is amazing, even though I've only tackled about a fifth of what I eventually hope to do. The difference between where I started and where I am now is big enough that even if I were to stop here, I could say that I've made significant and satisfying improvements. The designer had a vision, but the homeowner had to live there. A room is not just something to look at: it's a place that needs to be comfortable and functional. And even--gasp--reflect the preferences of its inhabitants. Including the ability to feel the refreshing breeze from a ceiling fan on a hot summer night. It all reminds me of writing, too. There's an abundance of writing advice out there, and we tailor it to our own tastes and abilities. We have to be able to live with the end result. Letting go is not only a process of discarding objects, but of shedding expectations and illusions. When things don't turn out as we expect, when the path takes an unexpected hairpin turn--what then? We can keep aiming for the original destination, even if it means fighting through the nettles and vines and trenches. Or we can let go of the original destination (for at least a while, maybe longer), and follow the road to see where it is going. Katie Klein recently reminded me about the blog becomingminimalist.com, and I particularly like this post. Especially, "Your decluttering journey is not a race," and, "Don’t let perfect become the enemy of better. The first time you go through your home, you won’t remove all the clutter. You’ll keep stuff that didn’t need to be kept. ... You may even remove a thing or two you’ll end up wishing you had kept. But you will make progress." I was reading a bunch of blogs on minimalism and decluttering, and I became aware that it is possible to get perfectionistic and competitive (as with anything in life, I suppose). For me, decluttering is an attempt to simplify, to make my life more relaxed, not more rigid. So I won't make rules about exactly how much stuff I will discard or keep, or exactly when I will do it. As long as I'm still making progress and feeling good about the changes, I'll continue as steadily as I can. I've also seen some recommendations to convert as much as possible to digital. I have mixed feelings about this. For some people, I'm sure that going digital is a useful decluttering tool. Digital books and files surely take up less physical space than their paper equivalents. And I'll always be grateful for the ease in revising, copying, and distributing digital documents--to me, this is the major advantage of a computer over a typewriter. But for storage and for actionable documents (such as bills), I personally don't find digital to be The Answer. Aside from the security issues, I actually find paper documents easier to manage, easier to track, easier to see. One thing I'm noticing about the simplified organizational methods I'm encountering is that they recommend storing your stuff in such a way that it's all visible at a glance, to keep things simple and accessible. For me, that means paper files rather than computer files. In fact, digital clutter is as much of a problem for me as physical-object clutter. I have lots of stuff on my computer that I just want to clear out. (Apparently I'm not alone. Colleen Mondor at Chasing Ray blogged about digital clutter issues such as "e-hoarding" and paring down email.) Digital may be the solution for many people; if so, more power to them. But I see the potential for digital clutter to be a problem, too. For me, having to hold on to a document at all is a much bigger issue than whether I'm storing it physicall or digitally. Either method of storage is a small weight on my mind; it's another thing to keep track of. I'm best served by keeping only what I need. And for writers, documents are a big deal, whether they're paper or digital. Not only do we have stories and story ideas and research notes and character sketches and critique notes and everything connected with the creative process, we also have contracts and receipts and royalty statements and business cards and tax documents and various items associated with the business side. I've decided that dealing with these papers will be a little farther down my list of priorities. First I'm tackling low-hanging fruit like clothes and shoes and linens. Books will be another tough category to weed, but I return to the reminder I quoted at the top of this blog post. It's not a race, and all I have to do is keep making progress. One thing we loved about this house when we bought it was its abundance of storage space. The big closets, built-in drawers and shelves sure come in handy. The downside of all that storage space is that you can hold on to a lot of stuff without even realizing it. Today I cleaned out some drawers that, I realized, I hadn't touched since we moved in more than a decade ago. At least one object, a novelty key chain, I had no memory of ever seeing before. Obviously I stuck it in the drawer as soon as I got it, not knowing what else to do with it, and there it has resided ever since. My philosophy today was, "If I haven't even looked at this stuff in all these years, I have no need to hold onto it now." I've been surprised by the amount of stuff I have, because--except for books--I don't really buy a lot. I rarely shop. I don't salivate over material goods. But I'm realizing that I have a lot of stuff not because I buy frequently, but because almost everything that has come into this house over the years has stayed here. I rarely got rid of anything. Letting go of all this stuff now is alternately freeing and anxiety-producing. I think that one reason we stockpile things and cling to them is out of a fear of scarcity, a fear that our needs won't be met, that we won't have enough. I'm speaking here of emotional needs too, not just material ones. After weeding bagsful from my closet, I have been rejoicing in its cleaner, less cluttered appearance. There seems to be more breathing room. Some items were really a delight to shed: items I wasn't wearing anymore, but felt guilty for not wearing because they were still in good shape. And even though I felt some pangs of anxiety about the volume of material I was eliminating, I also marveled at how much I have left. When I arranged my clothes so that I could see all of them, and I took stock of what I actually have, I realized that I have plenty. I have enough.